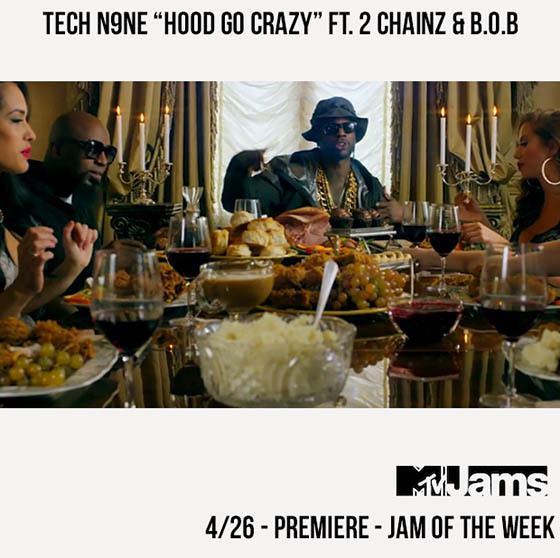 Check out Tech N9ne with 2 Chainz and B.o.B on the official music video for “Hood Go Crazy”, now playing on MTV Jams and MTV.com! The music video for the hit single on Tech N9ne’s Special Effects will play as MTV Jams’ “Jam of the Week”, hitting the airwaves once an hour for an entire week! For those of you who don’t get MTV Jams, you can watch it anytime on MTV.com.